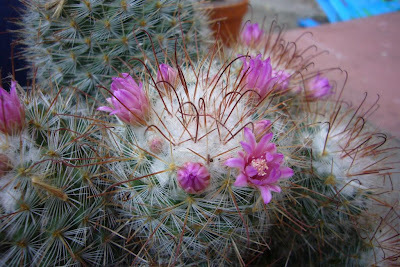 After the less attractive photos yesterday and to celebrate the return of the sun, I thought I would post some of the cacti flowers form this year. I only started growing them last year and was not sure how they would cope over the winter and if they would ever flower again. I needn't have worried, and there has been a constant stream of flowers. First to flower was also one of the best, gymnocalycium baldianum. Not the most prolific of flowerers but very pretty flowers, which lasted for a few days. There are plenty more in buds on different plants, so there will more more to come. 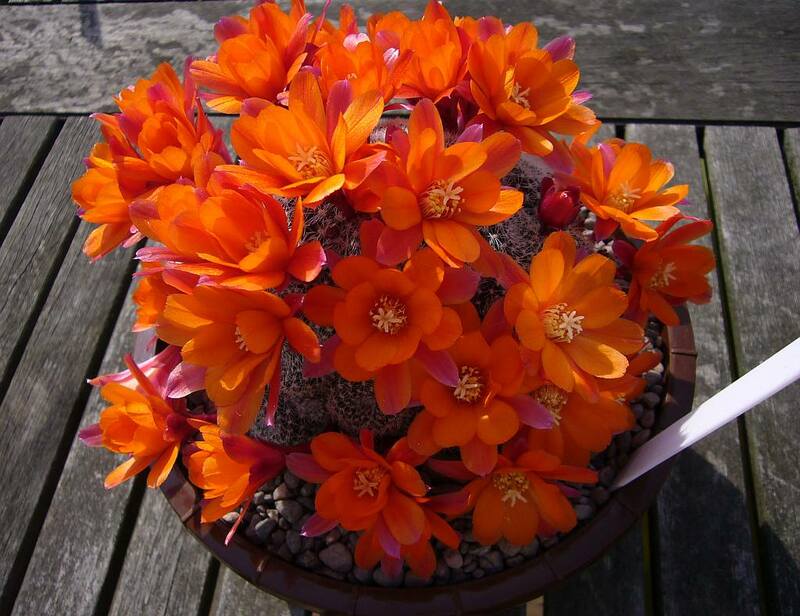 Very nice flowering on the rebutia. The flowers of the G. baldianum appeal to me. 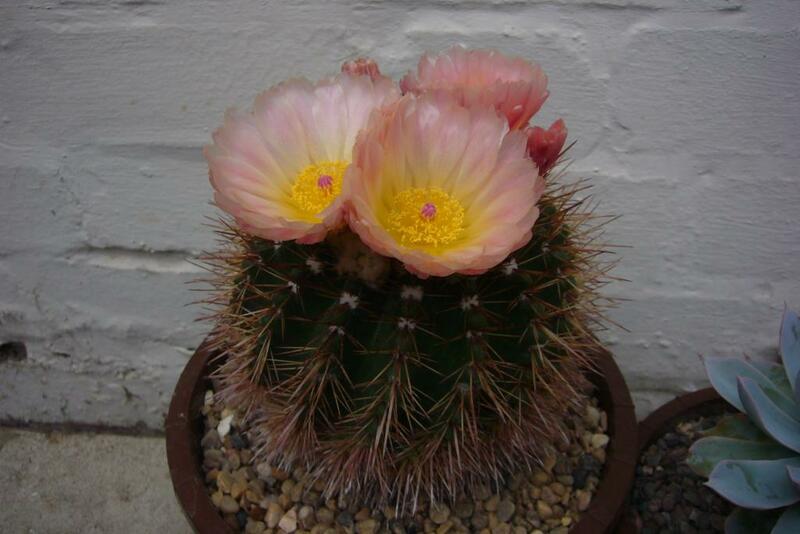 Rebutias seem hard to beet for number of flowers, but like you my favourite has to be the G. baldianum. This is MUCH better than the cup of slugs!!! Rebutia x aylostera 'Bo Jangles', WOW! Really stunning flowers! Very different looking but it's nice to see it does the Rebutia thing and flower in bunches. They do add colour to a collection during their flowering season. 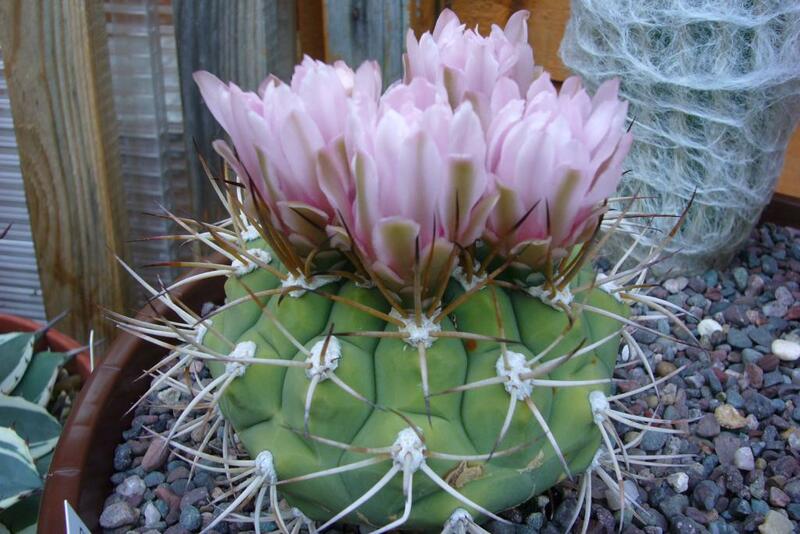 I think your unnamed cactus is a Parodia of some sort. Very pretty pink - and they are easy to grow. 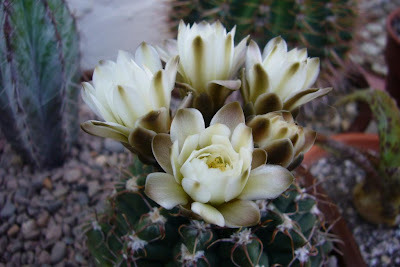 We have a huge Parodia magnifica, with lovely lemon yellow blooms every summer. It never gets blight or bugs, bless it. Thanks again for sharing.